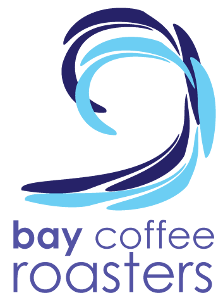 Bay Coffee Roaster was established when two friends came together and talked coffee. We have recently celebrated our 10th year anniversary introducing a range of new blends. All our coffee is roasted just under 2 miles away for the coast, overlooking Cardigan Bay. We roast most days to give you the freshest coffee possible; our coffee is usually in the customer’s hands within 3 days of roasting. We offer a new range of retail packs which are available in whole beans, cafetiere, espresso and filter. We have Fairtrade, Rainforest Alliance and Organically Certified(QWFC) blends.